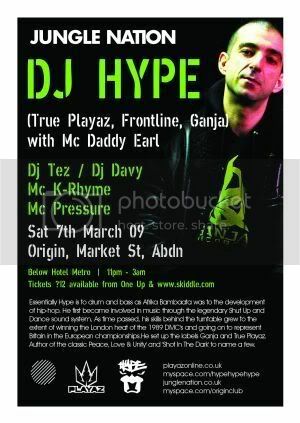 As time passed, his skills behind the turntable grew to the extent of winning the London heat of the 1989 DMC's and going on to represent Britain in the European championships.He set up the labels Ganja and True Playaz. Author of the classic 'Peace, Love & Unity' and 'Shot In The Dark' to name a few. I haven't been to a jungle nation since Noisia. You should try and get Dj Hazard or Shy FX, that would be epic! Had Shy FX booked for last February but he missed his flight.